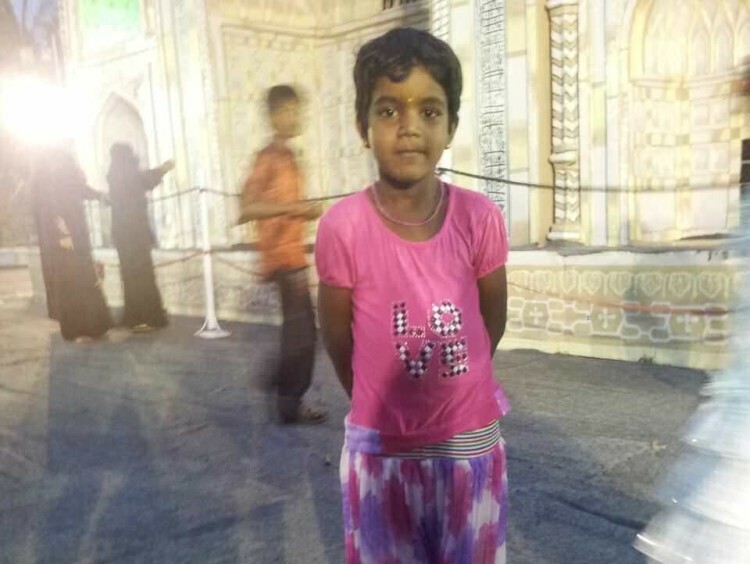 10-year-old Abinaya was in hospital scrubs for her birthday, unable to eat cake, or even get off the bed to wear her birthday dress. She is fighting end-stage liver disease where her liver is almost entirely, irreversibly scarred. With over 80% damaged cells, Abinaya’s liver is unable to get rid of the toxins in her body. She needs a new organ at the earliest without which she will succumb to the disease. Abinaya had read all about jaundice. When her skin, eyes, and urine turned yellow, she knew what was happening. 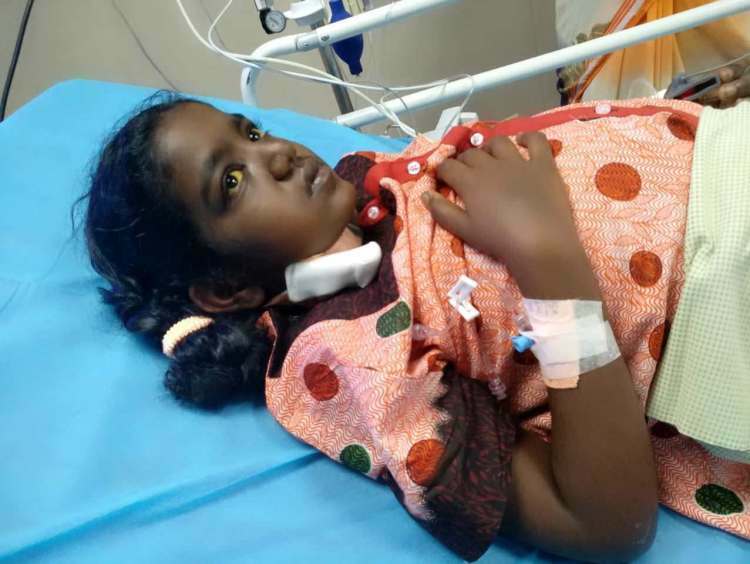 To make things worse, Abinaya was unable to eat and felt queasy even if she drank water. At first, her parents believed it to be a stomach disorder, but reality struck them when she was not even able to sit up on her bed. Abinaya was looking forward to celebrating her birthday, but she had to stay in the hospital. Her parents did not tell her the truth. However, the weakness from starvation, severe pain in her abdomen, constant vomiting, itching and continuous blood transfusions were enough to terrify this little girl. Abinaya’s parents got tested to be a donor. 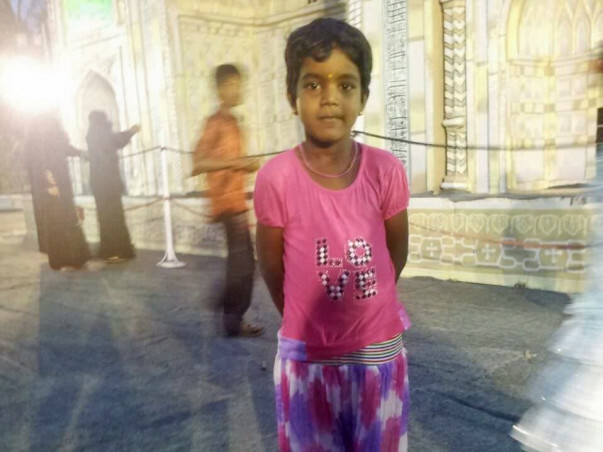 Her mother, Deepa, is a match and she can save her daughter’s life now. However, what the family lacks is money. Her father, Sankar, is working day and night to make at least Rs. 100 extra every day so they can have a shot at doing the surgery. The villagers have been visiting Abinaya at the hospital and donating every Rs. 10, Rs. 50 or Rs. 100, they could save towards her treatment. Still, the family is far from the goal of Rs. 20 Lakhs. Every passing minute is time lost in saving Abinaya’s life. She is currently very critical and needs the transplant within days to survive. Your contribution is the only chance to save her life. Thank you for the wonderful support that you have shown towards baby Abhinaya. 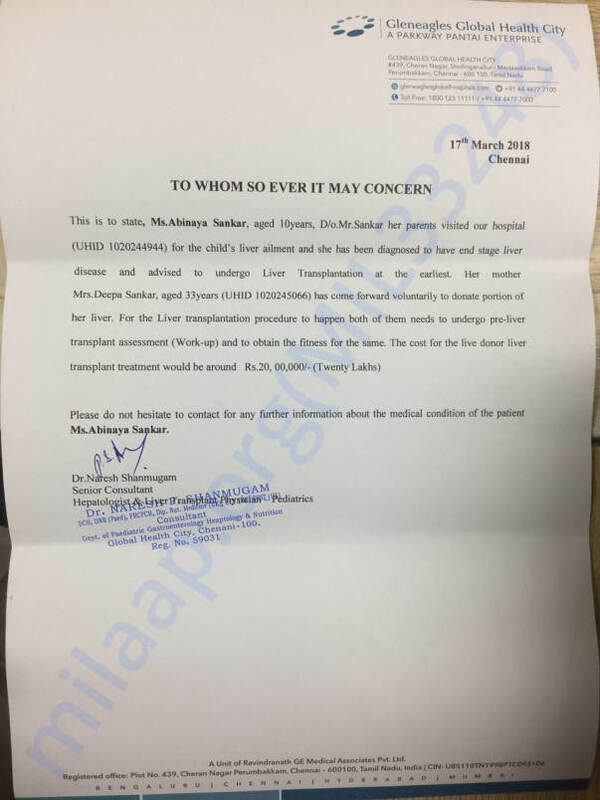 She has successfully undergone the live transplantation and has been discharged from Global hospital. 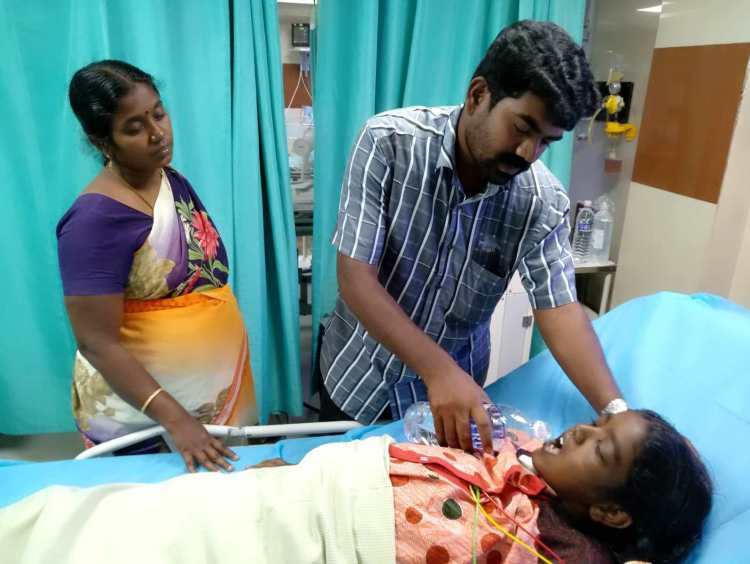 On the onset, Abinaya's Jaundice level was abnormal when she got admitted to 14-3-2018 in Kanchi Kamakoti Child Trust Hospital (KKCTH). 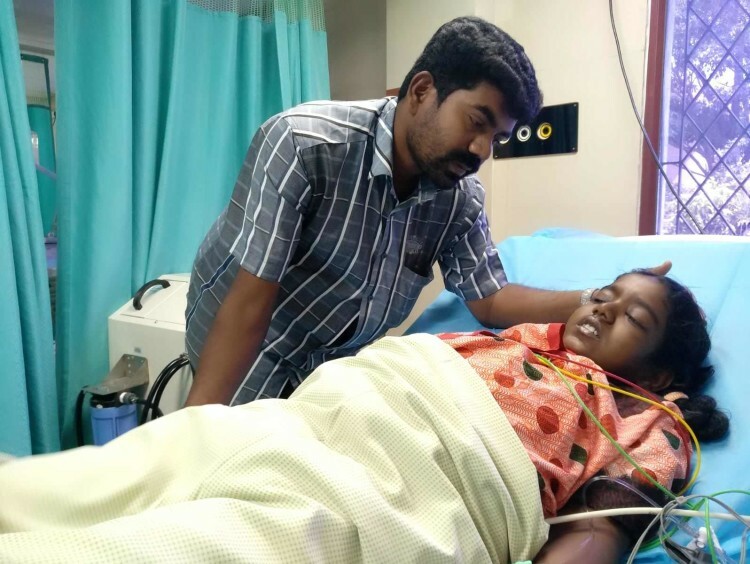 She was moved to ICU immediately as her condition was critical. At KKCTH she diagnosed with Wilson disease and she was advised to undergo a liver transplant. She was referred to Global hospital for the procedure. 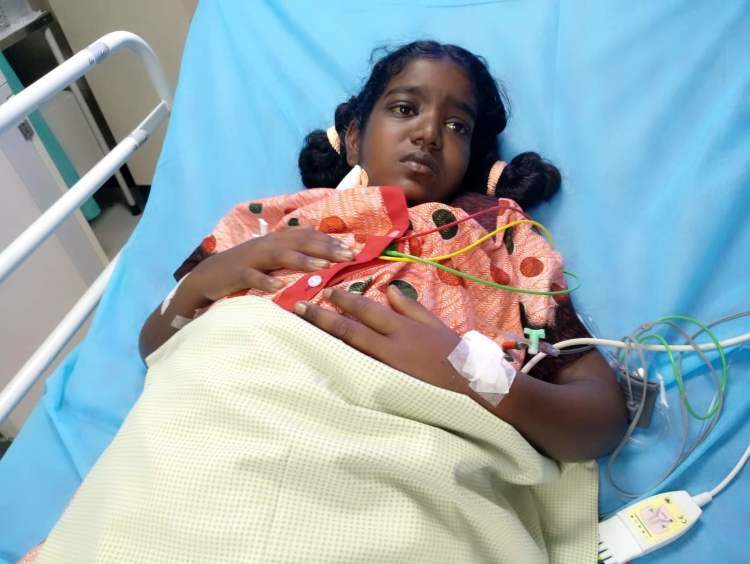 As the costs in Global Hospital would be high, Shankar was advised to keep Abhinaya at KKCTH to cut the cost and also keep her stable until the operation. At the same time, they asked Shankar to do the pre-operation process at Global. To clear the bills in KKCTH, Shankar sold his auto and the little land that he had in a desperate attempt to see his daughter lead a normal life again. He cleared a bill of ₹5 lakhs in KKTCH and then shifted to Global for the transplantation procedure. The government scheme helped in getting Abhinaya treated at the earliest. He is now facing difficulties to meet the post-operative expenses. The funds raised via this campaign are being withdrawn to his account to meet the expenses. Thank you for the wonderful support that you have shown towards Abhinaya and Shankar. Do pray for Abhinaya's health and speedy recovery. Thank you for your support. We couldn't have made it this far without you all. After the operation, the mother was moved to normal ward and is doing well as of now . Now the post operations process is going on and we are hoping for her speedy recovery. The baby, Abinaya, is still in ICU under Pediatric Observation and is expected to be moved to normal ward on Saturday and as of now doing well. The doctors are expecting her liver to function better in a few days. Here is a quick update on Abhinaya's health. She has successfully undergone the transplant. Mother was the donor, both of them are kept under observation in ICU. Mother will be discharged in a week and the Abhinaya will be shifted to the general ward after a two week's time.